An old friend of Donald Trump's wife gives ABC News a tour of Sevnica. 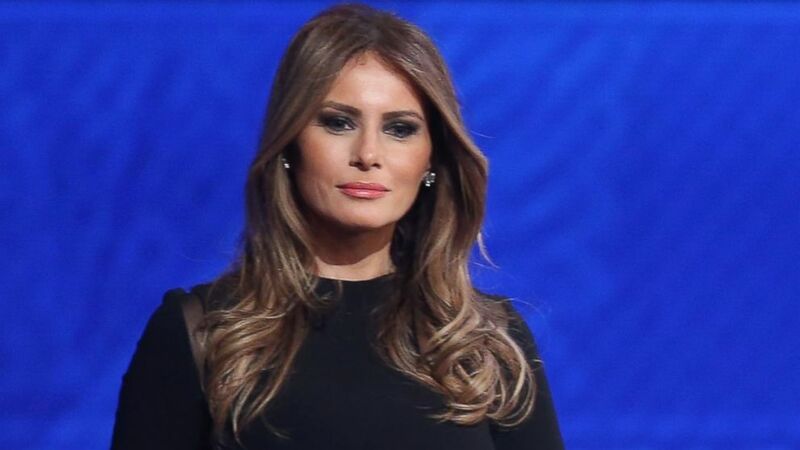 Melanija Knavs, the GOP presidential candidate’s wife known today as Melania Trump, was born and raised in Sevnica, a small town in Central Slovenia. "She was an angel," Mirjana Jelancic, now principal of the grade school here where she and Trump studied in the 1970s and 1980s, told ABC News. Jelancic remembers knitting, reading and playing in the nearby playground with Melania Trump, now 45. She said they lived in the same apartment block. "She was a very good student," Jelancic said during a tour of the town of about 5,000 residents, adding that her friend’s favorite subject was geography. (Joe Raedle/Getty Images) Melania Trump stands on stage following the Republican presidential debate at St. Anselm College, Feb. 6, 2016 in Manchester, N.H.
Trump later developed an interest in fashion and design. The Knavs family moved to the capital of Ljubljana when Trump and her sister, Ines, were high school age, Jelancic said. Trump went on to study architecture and design but was quickly scouted as a model. At age 18, she signed with a modeling agency in Milan, and embarked on a career in the fashion industry that led her to New York, where she met Donald Trump. They were married in 2005. Jelancic has not seen Melania Trump since their childhood but says she'd like to reconnect with her old friend. After giving birth to her son, Barron, Melania Trump donated $25,000 to the clinic in Sevnica, most of which went to improve maternal health care. Her family still owns a house in the industrial town located on the banks of the river Sava, but neighbors have told ABC News they spend most of their time in the United States. If her husband, the front-running GOP presidential candidate, reaches the White House, Melania Trump would become the first foreign-born first lady in nearly 200 years.